There is a God!! Hallelujah! Great news but still got to be concerned with managers telling their pitchers to throw junk pitches to him as long as Markakis is hitting cleanup. Do you guys think he’ll start wearing wrist protection moving forward? Would help me sleep better at night. Freddie didn't want to miss Happy Harvey Day. Just wait till Joey Bats comes up! In all seriousness, hopefully that would help some. Just wait till Acuna comes up! Not sure where Acuna will bat but you gotta imagine another legit bat in that lineup will make it harder to throw him nonsense. I doubt Bautista will change things for anyone. Awesome news guys. Here's to a healthy Freeman all year. Wow.I didn't need all those beers after all. You mean help him get thrown at again after Bats shows up a pitcher? Acuna would help a bit more. But for now we will just continue to see pitchers throw everything outside strike zone against him. A gamer. Don't see too many of those in this day and age. Now you can have celebratory beers. Beer is so versatile like that. Great. I’ll drink them then! over under 2 XBH against the worst pitcher I’ve seen this season vs LH bats in Matt Harvey? Freeman is a stud! Hopefully, Freddie stays healthy all year and hits 35-40 HR. Happily, some will come with runners on base too. 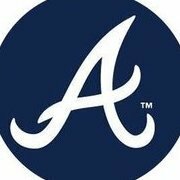 Freeman just hit his 11th double of the season... in 24 games. He is Votto. The good Votto.